I created a highlight reel of my favorite photographs posted in 2016! Thanks to everyone for all of your encouragement in 2016, and I look forward to posting more in 2017. I'll be taking a (hopefully short) break from posting photos, but am very much looking forward to what photographic opportunities bring in with the new year! Happy New Year! This shot truly brought me back to my 2014 Iceland trip which I often write about here. 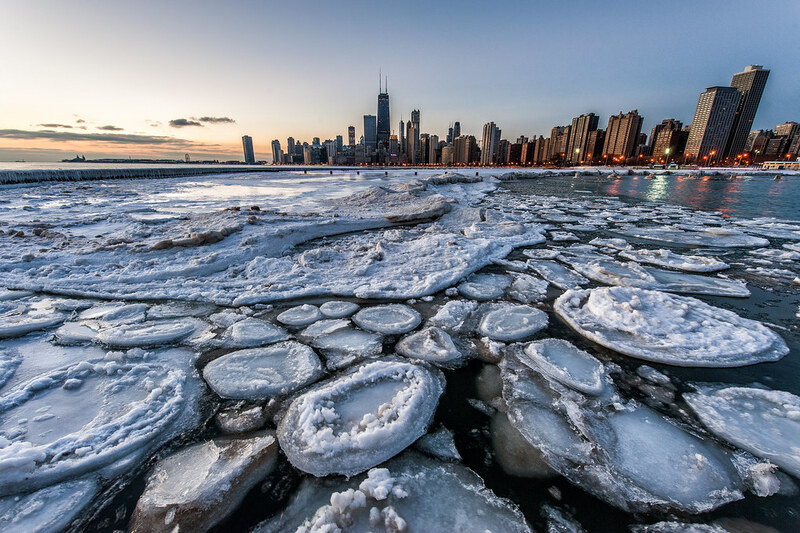 These ice chunks formed along the North Ave. Beach Jetty, and I found myself rolling around in this mess trying to get an ultra low perspective with the skyline. 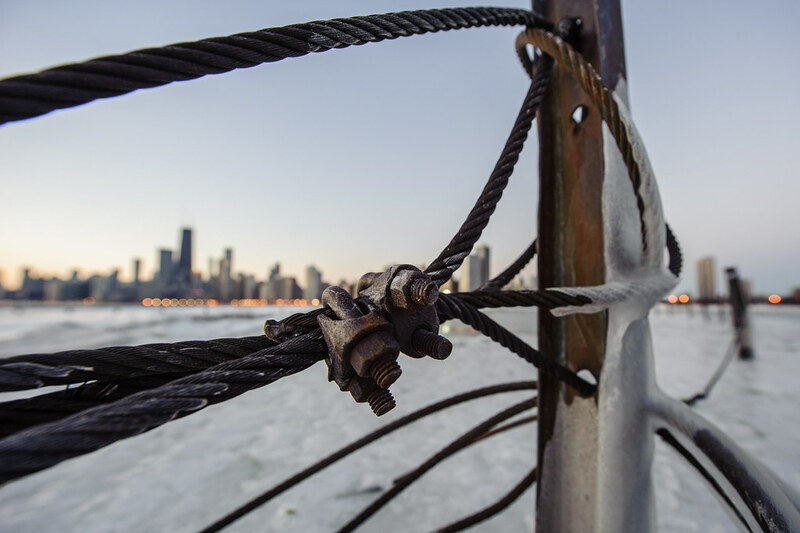 Broken ice on the North Ave. Beach Jetty with the Chicago Skyline in the background. 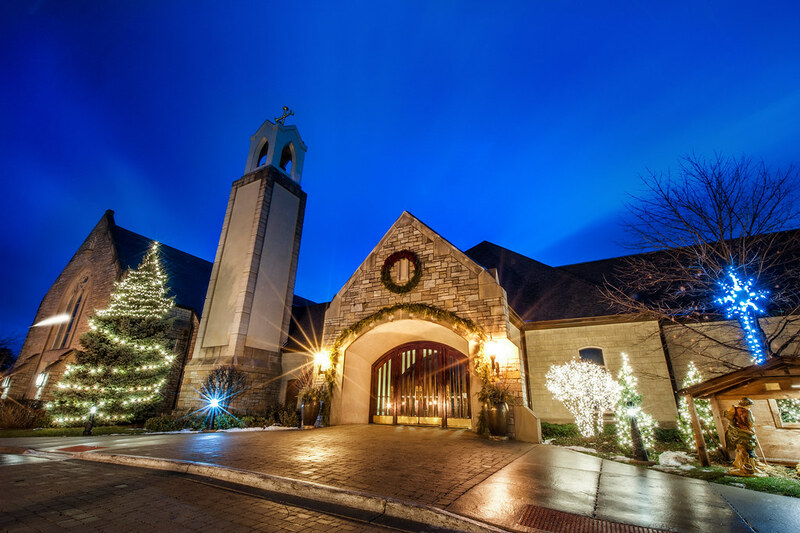 This is St. Anne Catholic Church in Barrington, IL. I hadn't planned on shooting here but I caught some good light and this seemed like it had potential for a decent shot. St. Anne Catholic Church in Barrington, IL. This is the Catlow movie theatre in Barrington, IL. 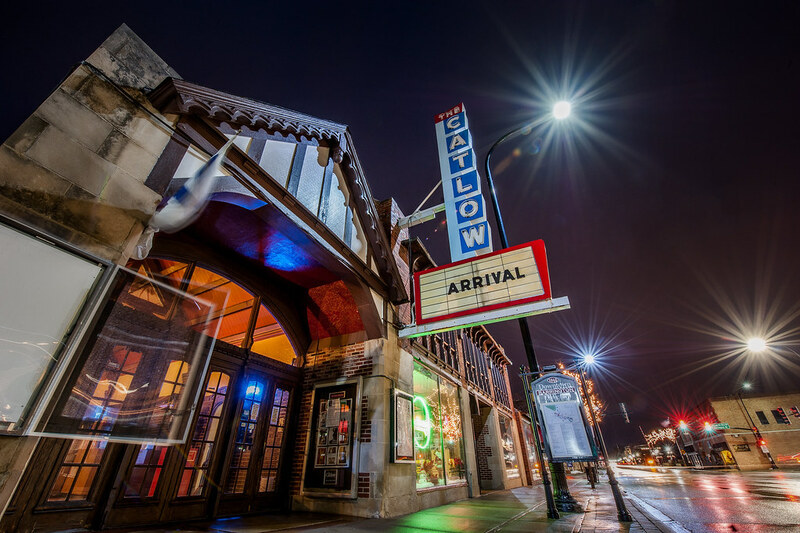 The Catlow movie theatre in Barrington, IL. This was taken the other morning on what was actually a pretty mild mid-thirty degree morning. 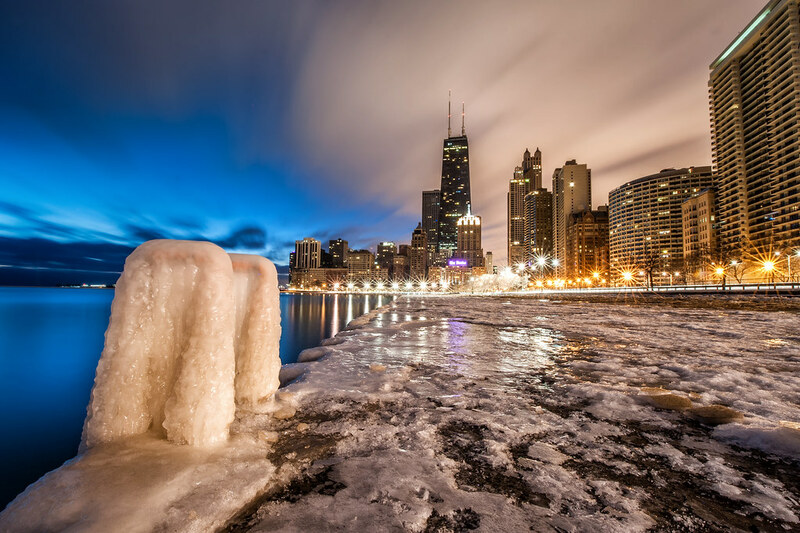 While I generally am not a fan of our Chicago winters, I welcome the change in season this year as it presents some new photo opportunities. 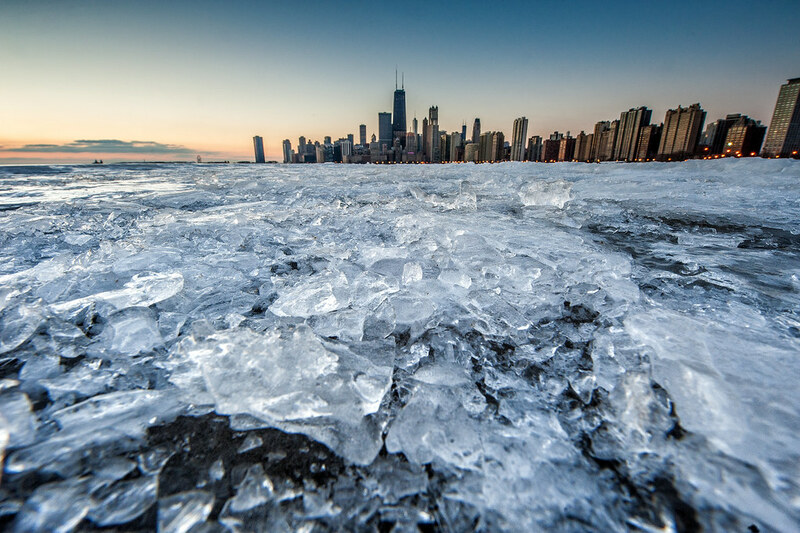 Some broken ice at the North Ave. Beach Jetty on a cold winter morning. A black and white edit of the Empire State Building in downtown Manhattan. 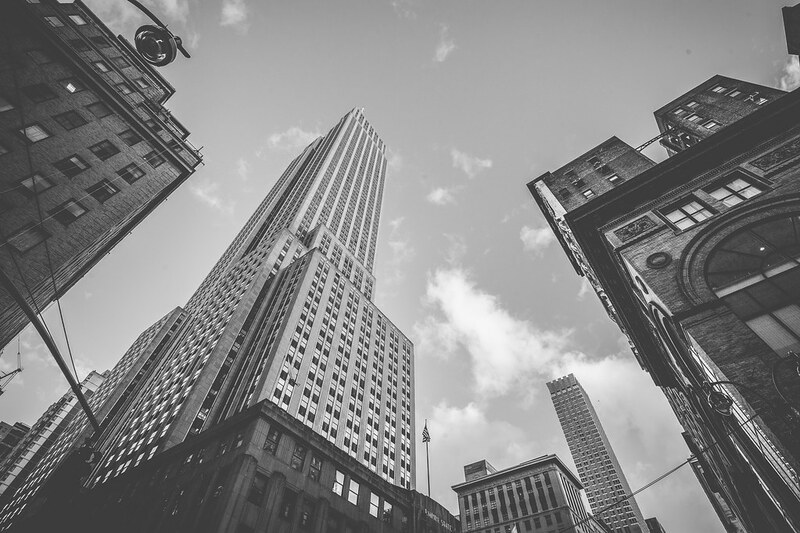 A black and white edit of a vertical view of the Empire State Building in New York City. 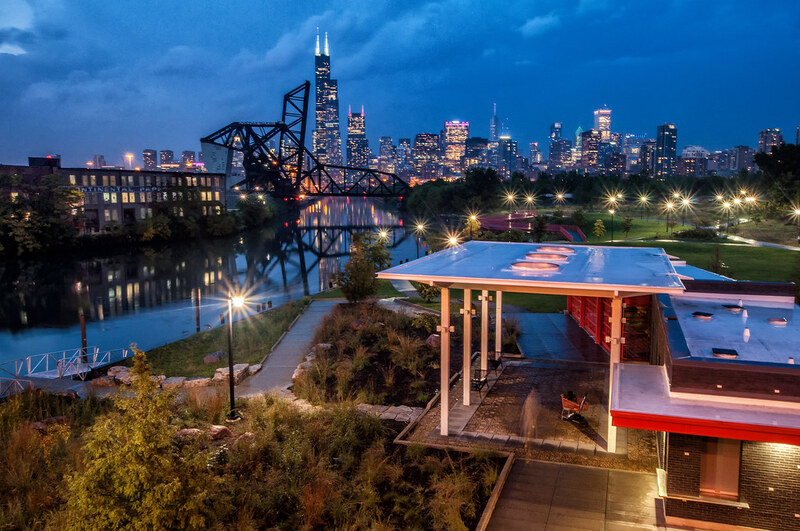 This is a long exposure - 85 seconds to be exact - of the Chicago Skyline from one of my favorites spots, just north of Oak Street Beach on the Lake Shore Path. An 85 second exposure taken along Lake Michigan yesterday morning. This shot definitely has a 'cool' feel to it. I really like the contrast of the violet sky and amber light coming from the inside of the building. I'd be lying if I said I had considered this when setting up for the shot, but sometimes you just get lucky. 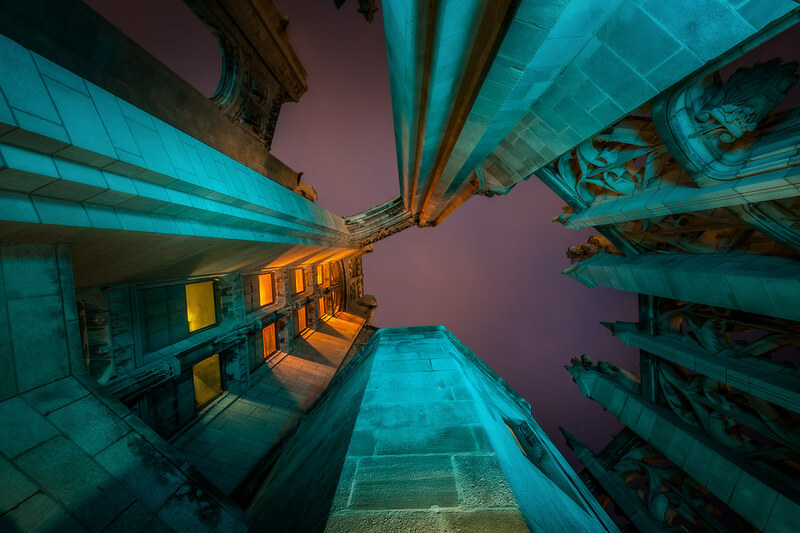 Violet tones of the sky after sunset from atop the Rooftop Veranda at Tribune Tower. Here is an older shot from 18th street of the Skyline and Ping Tom park in Chinatown. This shot was taken in early October. The Chicago Skyline from 18th street in Chinatown.